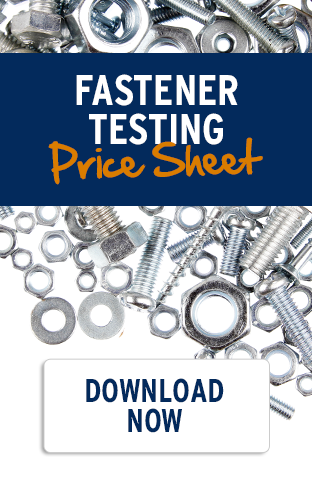 Hydrogen embrittlement is a major factor in the choice of material or coating for fasteners. It can be a serious concern with high-strength fasteners made of carbon and alloy steels, which can absorb the hydrogen into the fastener's surface during manufacturing. In order to ensure greater operating safety and quality, MVMTC is able to test fasteners to meet your hydrogen embrittlement specifications.